This Valentine’s Day, give yourself or a loved one the gift of murder, a murder mystery, that is. 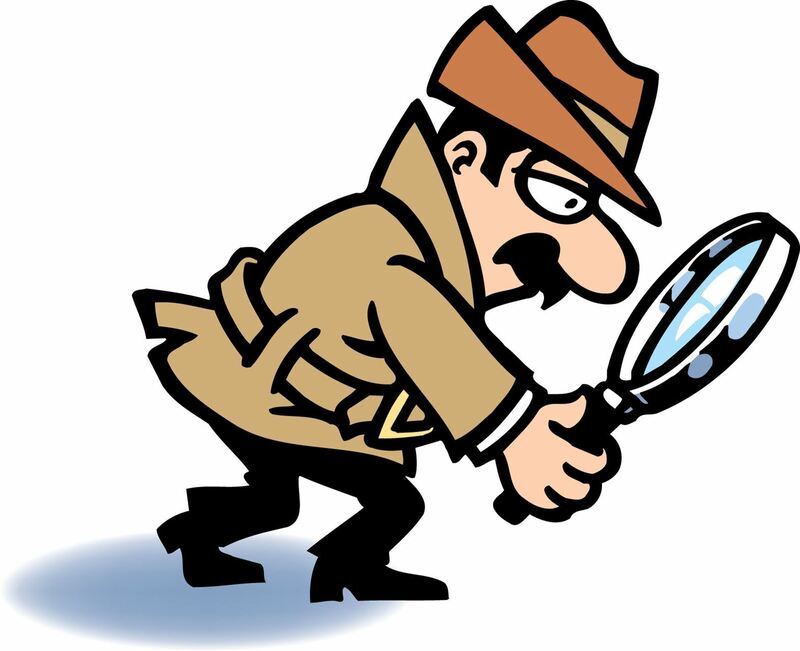 Join us for the third annual murder mystery event hosted by the BookMarks of the Marion Public Library. 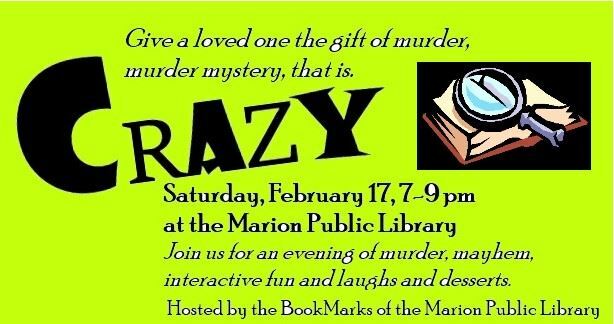 CRAZY, written by Vicky Tabor Branson, is an interactive, funny mystery that takes place Saturday, February 17, from 7- 9 pm at the Marion Public Library and includes desserts and beverages. Tickets are on sale now at the Marion Public Library for $25/ person. The proceeds go to support the operations of the Marion Public Library. Just like Patsy Cline said in the song Crazy, many people are crazy for being lonely, or some for being blue. But, maybe they are just crazy. Are you? Put on your detectives cap and find out.